According to 2 Timothy 3:16-17 “all Scripture is inspired.” I believe that “all scripture is inspired” means that the Bible comes from God. Every word from Genesis to Revelation is the very word of God. The implications of the inspiration of the Bible are huge since the Holy Spirit is the author of scripture. Therefore, the Bible is true (Ps. 119:142) and altogether reliable (Heb. 6:18). It is powerful, working its purpose in our hearts (1 Thess. 2:13) and not returning empty to the One who sent it (Is. 55:10-11). It is pure like silver refined in a furnace seven times (Ps. 12:6). It is sanctifying (John 17:17). It gives life (Ps. 119:37, 50, 93, 107; John 6:63; Mt. 4:4). It makes wise (Ps. 19:7; 119:99-100). It gives joy (Ps. 19:8; 119:16, 92, 111, 143, 174) and promises great reward (Ps. 19:11). It gives strength to the weak (Ps. 119:28) and comfort to the distraught (Ps. 119:76), and guidance to the perplexed (Ps. 119:105), and salvation to the lost (Ps. 119:155; 2 Tim. 3:15). The wisdom of God in Scripture is inexhaustible. Successful living means obeying the Scripture. 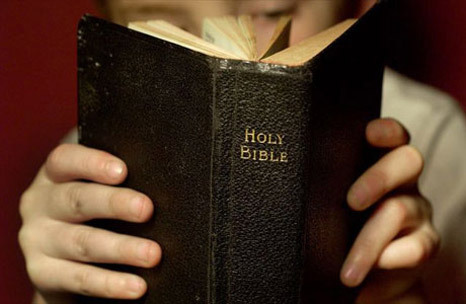 The Scriptures are intended to impart truth in such a way that the reader is moved in a Godward direction. Not only is the Bible clear in what it affirms, but it is also self-authenticating in nature. The Bible way of counseling is radically dependent on the work of the Holy Spirit to apply the Word of God to people’s lives. Our agenda in counseling is the Bible; the change comes through the agent of the Holy Spirit. The Bible is most certainly sufficient for all of life. The Bible deals with the heart of man and says that the heart is wicked. The Bible exclaims that sin is man’s main problem, and the Bible has the answers to man’s sinful heart problem. The gospel of Jesus Christ is the answer to man’s sin. In Christ we have forgiveness and the ability to change into His image (Colossians 1:28). Why do we need the gospel? Without it we are dead in our sin without a hope of salvation [life in Christ]. Since, the Bible reveals man for who he is, effect by sin, therefore, the Bible is sufficient and must have active functional control in one’s life through the work of Christ and the power of the Holy Spirit. The Word of God offers grace to the sinner, encouragement to persevere, edification, and hope through sanctification (Acts 20:32).